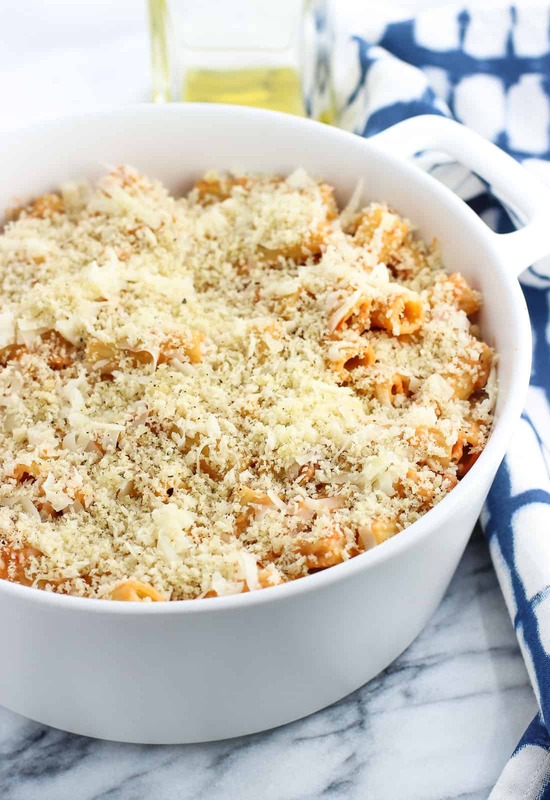 This vodka sauce pasta bake is the ultimate in comfort food. 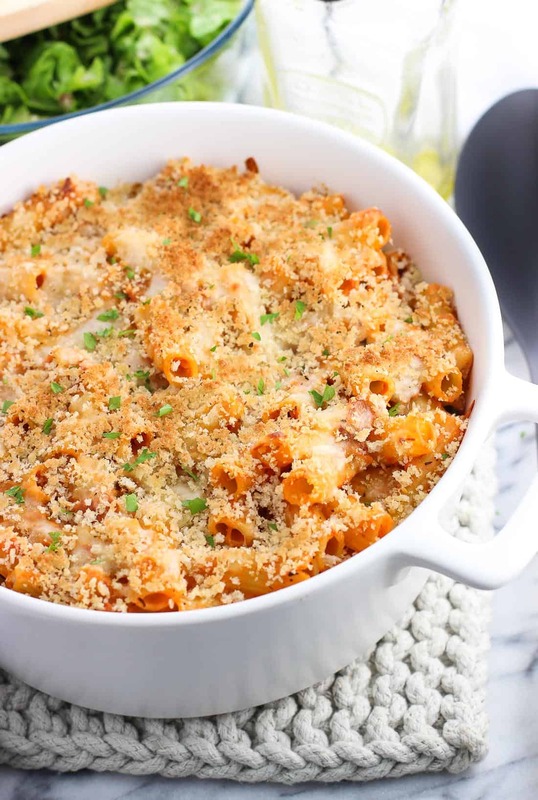 Easy homemade vodka sauce is mixed with ziti, bacon, and cheese and topped with a crispy panko topping in this crowd-favorite main dish. I’ve already told you about all the ways I’d like to consume this lightened up vodka sauce. Forget complementing food, I’ve been reduced to (or have graduated to?) sneaking spoonfuls straight after making it. And I mean straight – no pasta in sight. Since I’m clearly looking for every opportunity to use this sauce, a pasta bake was a no-brainer. 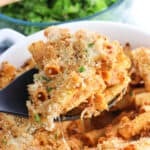 This vodka sauce pasta bake includes several of my favorite food items, such as pasta, bacon, and crispy panko, but first let’s start with the pasta. Does anyone else have favorite pasta shapes? Shells are up there on my list for their sauce-retaining abilities, I’ve never met a rotini pasta salad I didn’t love, and those little twisties, gemelli? Rapidly climbing my list, too. 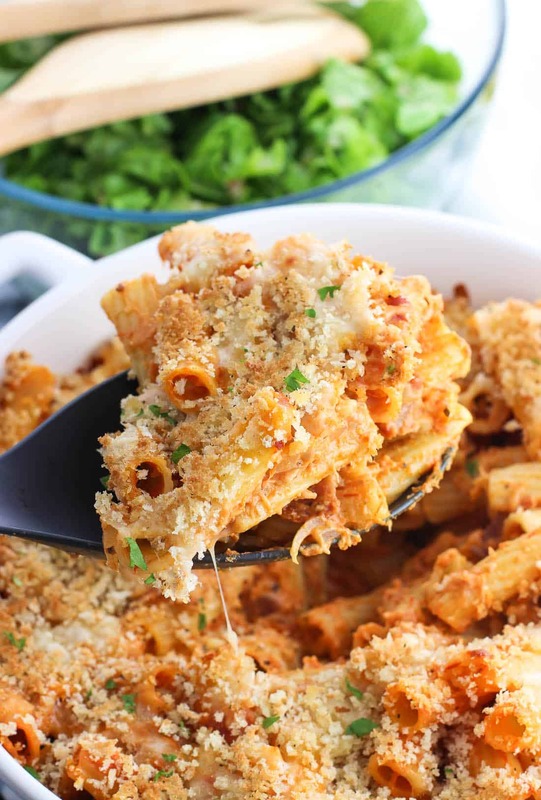 With this vodka sauce pasta bake I kept things classic and used ziti. Ziti rigati, technically, which is why you see the ridges. I guess it technically qualifies as a baked ziti dish, but I couldn’t dare call it baked ziti. For one there’s no ricotta, which is a baked ziti essential. Then, bacon? Not a baked ziti ingredient. 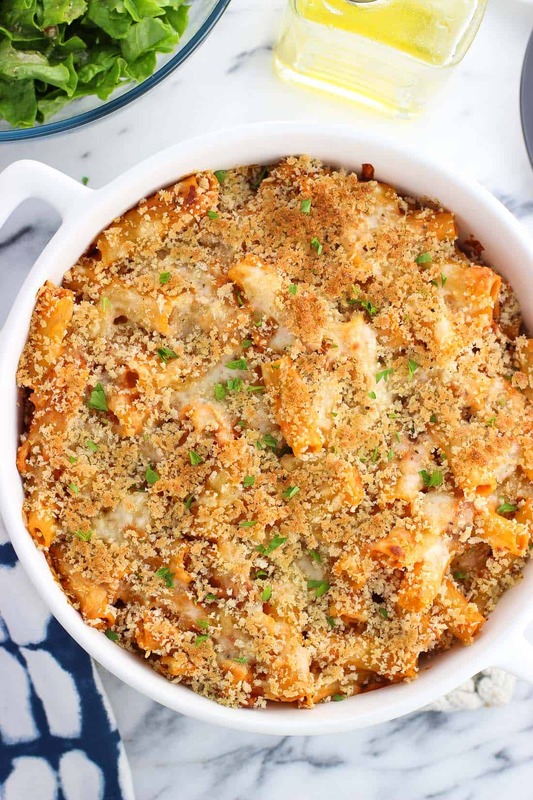 I’d refer to this as a pasta bake so as not to have an unhappy audience on your hands, simply because they were expecting one thing and got another. Even if the “other” is equally-delicious. Next there’s bacon, because what doesn’t bacon make better? Same goes for the mozzarella. Then there’s this crispy panko topping, which is super simple to make and instantly upgrades whatever it is you’re scattering it over. A crispy panko mixture makes leftover risotto cakes just perfect, and adds an extra layer of crunch to coconut macadamia crusted salmon. Panko bread crumbs are definitely one of my kitchen staples. One very important step in this vodka sauce pasta bake is boiling the pasta. 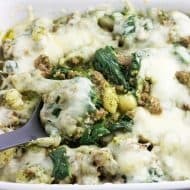 While I’m a huge fan of pasta recipes where you can skip the whole boiling thing before assembling (like this tortellini bake with spinach, easy baked ravioli with spinach and mozzarella, chicken parmesan gnocchi skillet…), it doesn’t work for the dried pasta here. Since the pasta will cook additionally once it’s combined with vodka sauce and baked, you’ll want to boil your pasta until just underdone. Check out the recommended cooking times on your box of pasta (shapes differ). My box of ziti listed 8 minutes for al dente, 9 minutes for firm, and 10 minutes for tender. 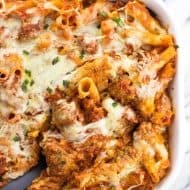 I boiled the ziti for 7 minutes, and found them the perfect firmness (not mushy at all) once this vodka sauce pasta bake was all baked up and ready to serve. Use your favorite pasta shape! Smaller shapes like ziti, penne, shells work well to hold the sauce and make it easy to scoop out servings. 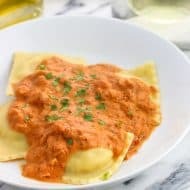 If you’re in a time crunch you can absolutely use store-bought vodka sauce, or even regular marinara sauce if you like. However I highly recommend my lightened up vodka sauce recipe. Feels good knowing how to make sauce staples at home! Once the cheese is melty and everything is heated throughout, you can also switch the oven to the broil setting to brown and crisp up the panko topping additionally. Cook pasta until slightly underdone. I boiled the ziti for 7 minutes, which was 1 minute less than the box-listed "al dente" timing. Drain water, and return pasta to saucepan. Pour vodka sauce, cooked bacon crumbles, and 1 cup of mozzarella cheese into the saucepan and stir until sauce evenly coats the pasta and all ingredients are combined. Pour pasta mixture into a greased 2.5 quart baking dish and press slightly to even out the top. Scatter remaining 1/2 cup shredded mozzarella and Parmesan evenly over top of the pasta. 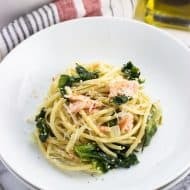 In a small bowl, stir together olive oil and panko bread crumbs. Scatter bread crumb mixture over top of pasta and mozzarella. Bake for 20-22 minutes, or until cheese has melted and browned. Photos updated in June 2018. I prepared this last night and all of my family didn’t care for it. I bought vodka sauce, but this really should go on chicken riggies, not on pasta. So, just saying we didn’t care for it. 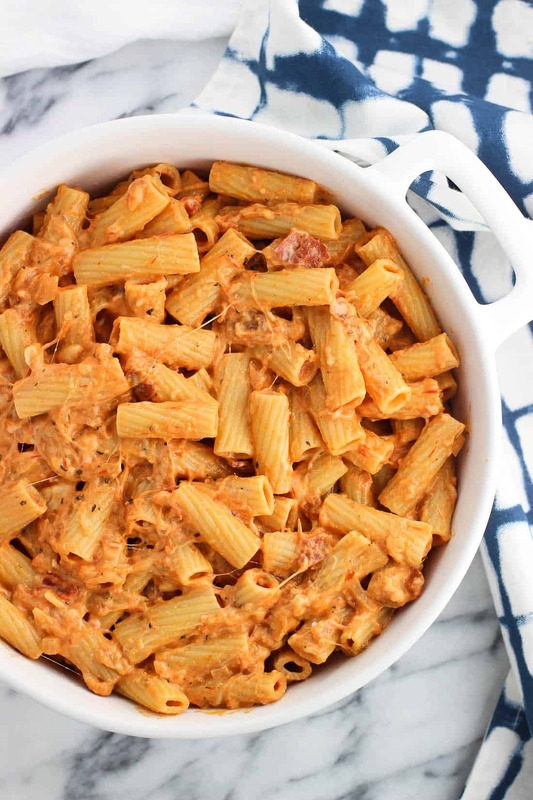 I love vodka sauce with penne and even will love it even more with your lightened up version! 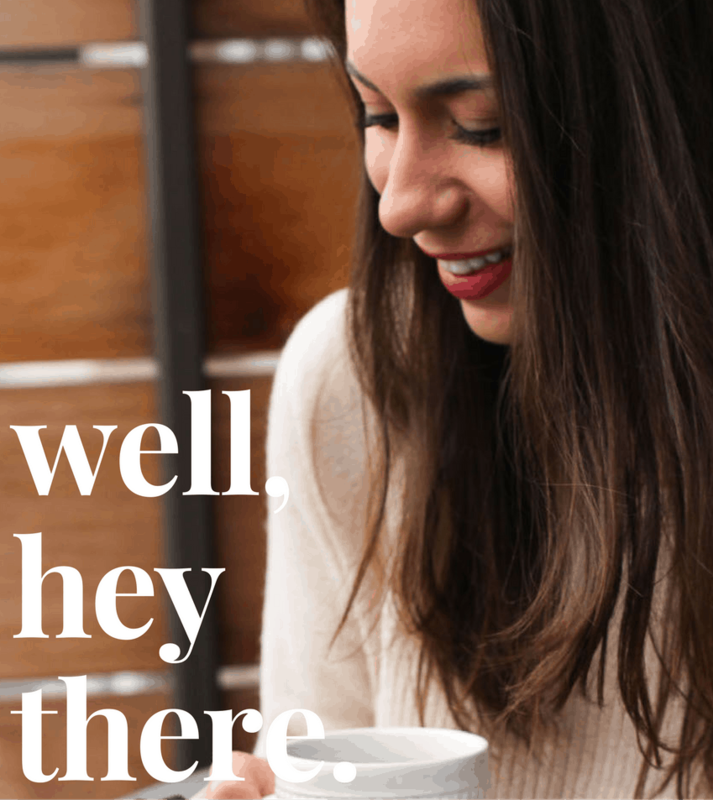 I think I actually have everything I need to make this already…thank you! And you went and added bacon and panko?!?! Oh my goodness when is dinner?!?! I want this immediately! OMG, I need this right now! I love everything about it…the lightend up sauce, hello bacon, and those crispy panko crumbs. I’m in pasta heaven. 🙂 I know the hubby would love this too! Okay, give me this for dinner every night and I WILL QUIT COMPLAINING FOR THE REST OF MY LIFE! <3 This looks beyond DELICIOUS! Yesss for pasta shells! 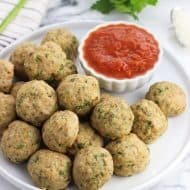 They are one of my favorites too because they hold little wells of sauce : ) And that lightened up vodka sauce? Yeah, I’d be slurping that with a spoon too! Love those little wells of sauce! They give shells a serious edge over other shapes for that reason in my mind. 🙂 And I’m glad I’m not alone in wanting to indulge in the sauce sans pasta! 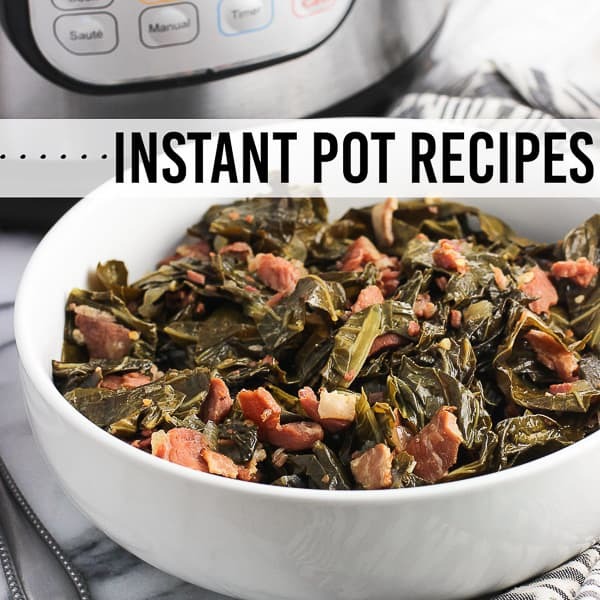 Dang this sounds delicious! I love that melty cheese and panko crust. That’s my favorite part of pasta bakes. I must make this soon! Alyssa, I think I’m in love with this pasta! I thought the sauce sounded gorgeous when you posted it, and I’ve tried breadcrumbs on the top of pasta before and it worked so so well. Love the photos, too. 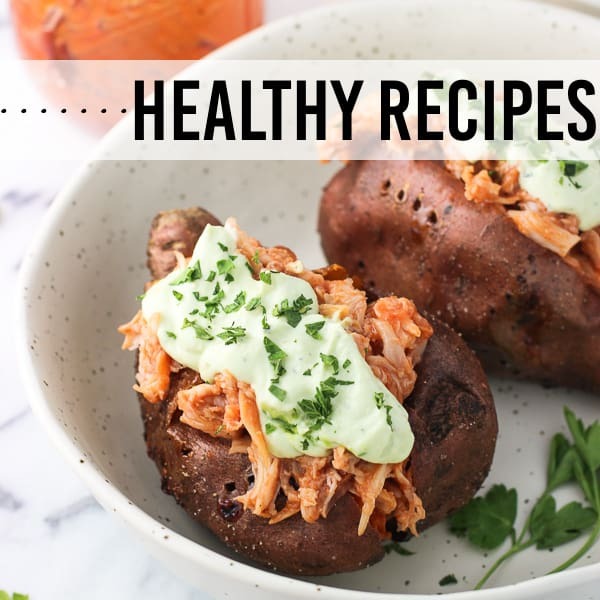 I’m keen to make this so pinning for sure!! Yum! I love baked pasta dishes. 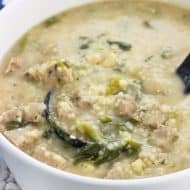 They are so comforting and usually pretty darn delicious! I love your ingredients. Panko sounds great here ! I’m a shells fan and a fan of any other shape that holds a sauce 😀 Pinning! 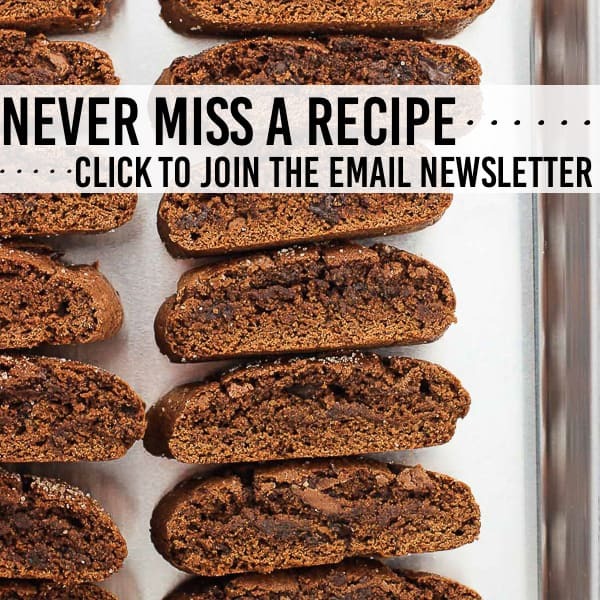 What a delicious-sounding recipe!! I’m planning to try this out on Sunday for my company. It looks like like a real crowd pleaser! !